Partner Ana-Maria Baciu co-heads Nestor Nestor Diculescu Kingston Petersen’s gaming practice. She has over 19 years of professional expertise, including 12 years of experience in assisting clients in the gaming sector. She also coordinates the firm’s IP practice and co-heads the consumer protection and advertising practice. Ana-Maria is highly specialised in all legal aspects related to the organisation and operation of gambling activities. 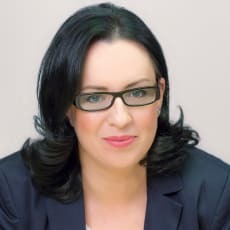 She has participated in the process of drafting both primary and secondary Romanian gaming legislation. She is a general member of the International Masters of Gaming Law, a regular contributor to specialised publications and a speaker at events on gaming matters.